All customers should have a positive travel experience from the moment they arrive at the airport. And for many customers departing from our Miami (MIA) operation, their first interaction is with a team of Skycaps, who help customers check their bags directly from the curb. 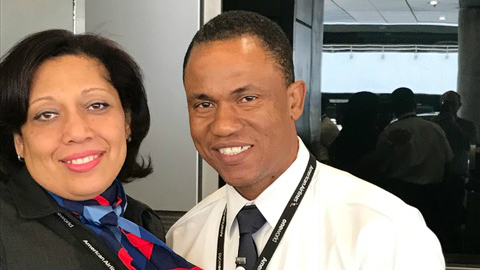 Above: Envoy Lead Agent Ingrid Paredes with EGS Skycap Ronald Simplice.